Pretty awesome, huh? Besides marriage, trail running and writing are two of my biggest passions. 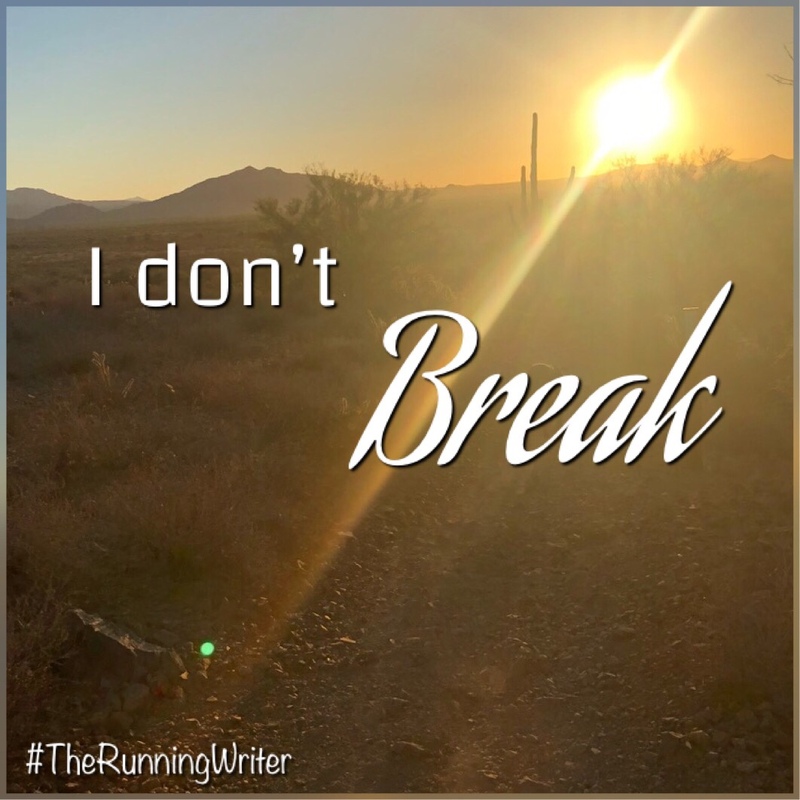 #TheRunningWriter was created because of these two passions, and some days I do feel like I was made for this. That this is my calling. But when I got my first rejections from agents and publishers, I doubted. When I got my first DNF (Did Not Finish) in a race, I doubted. And when I got my first publishing contract, I was like YES! I knew I was meant to publish. I could have quit. Oh but then I got an agent. Yes. I WAS made for this after all. Then she bailed—in a pretty epic fashion I might add. There have been, and will be, plenty of roller coaster ups and downs on this publishing journey; from bad reviews to great ones, from rejections to acceptances, from publishing contracts and a publishing contract drought. How about you? Will you say that in the face of your ups and downs?